"The most significant contribution I have made to the small gas engine hobby was to publish this book in 1997." The book is very popular with small, and large, gas engine builders and collectors. The book was written to correct many misconceptions concerning ignition coils and magnetos and to provide working information to design, build, apply and troubleshoot ignition systems. 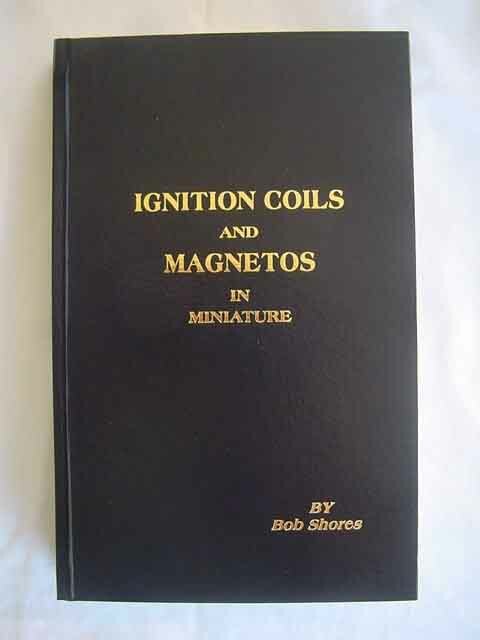 The book also provides information to build miniature ignition coils, magnetos and a coil winder. It is a 281 page, library quality hardback with gold lettering containing 116 drawings and illustrations. The book is written in layman's terms. Technical terms and "buzz words" are avoided for easy understanding. Electricity - Magnets - The magnetis circuit - Inductors - Laminations - Condensers - Wire - How they work - Breaker contacts - Magnetos - Coil winder construction - Details to construct three miniature coils - Constructing the Wico EK in half scale - Glossary - Formulae - Wire tables and more.